Greetings for the day!! 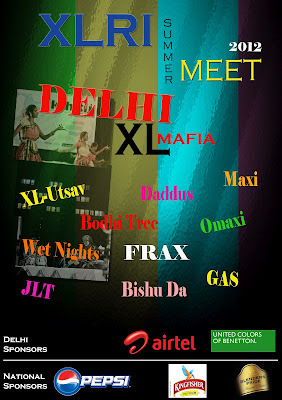 We now have less than 31 hours left for the XLRI Delhi Alumni Meet 2012! 2. In order for us to take the initiative of formation of XLRI Delhi Chapter forward, we need you to update us on your current details. NOTE: In case you have filled up the form for the XLRI Delhi Chapter formation already, no need to fill in your details again. 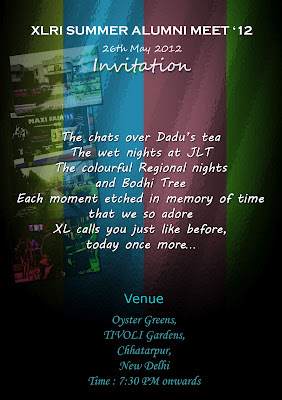 XLRI Souvenirs (coffee mugs & T shirts) will be available at a subsidized rate. 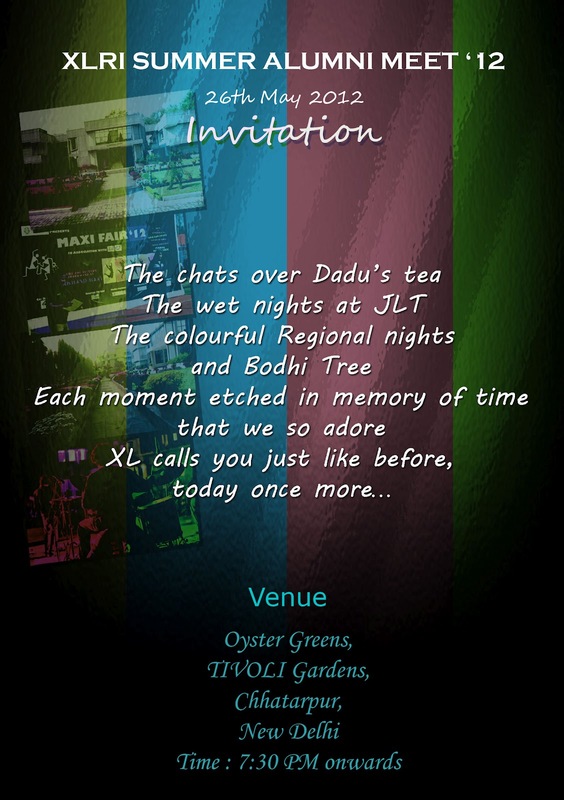 Please find attached the Snacks and Dinner Menu along with the invite. 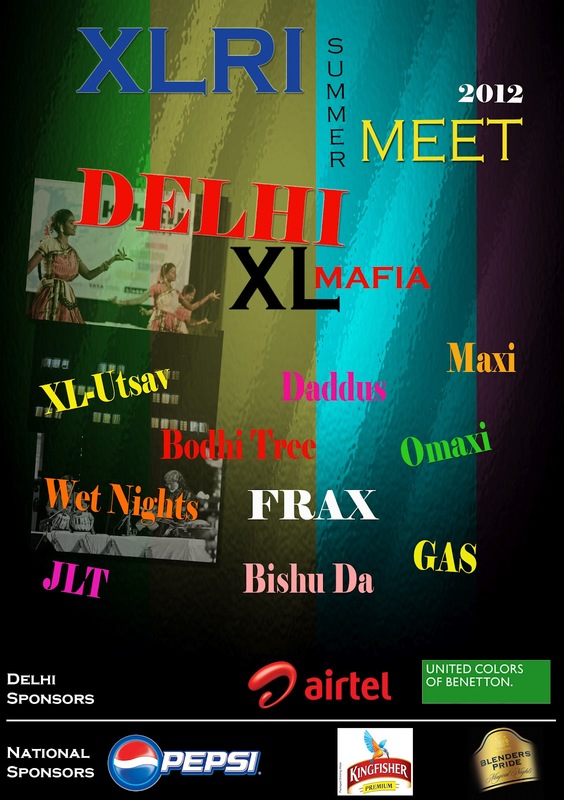 Looking forward to meeting you all at the Summer Meet!